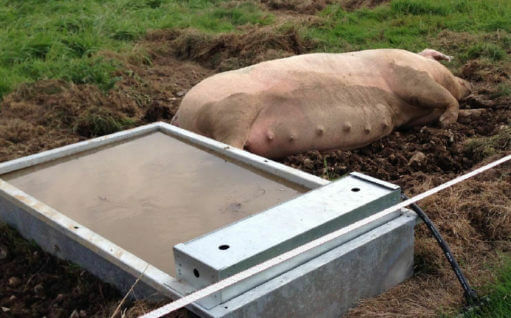 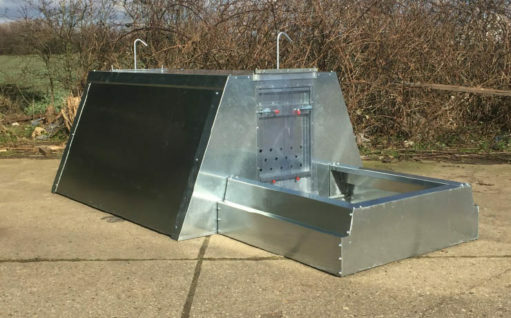 Attached to the front of the Standard Farrowing Ark or Farrowing Hut, a fender provides a safe, enclosed outdoor area for very young pigs; for a simpler, lower-cost alternative, we also offer a Farrowing Step. 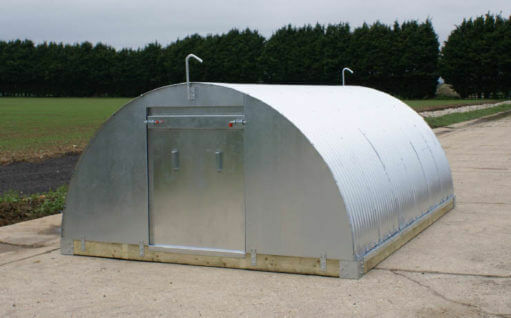 Both are suitable for use with all Farrowing Huts. 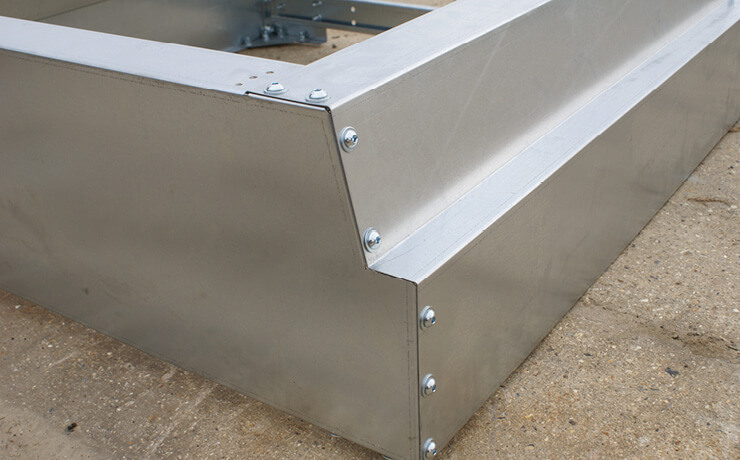 Our standard fixed-front Creep Fenders are made entirely from galvanised steel for long life and low maintenance, and spot-welded for maximum strength and rigidity. 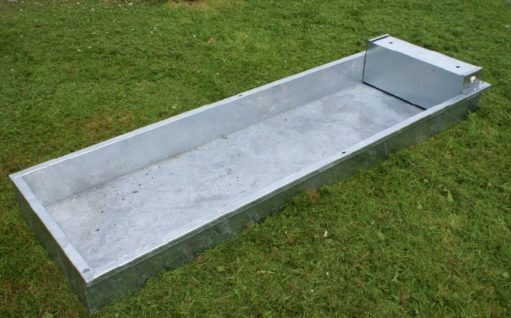 They attach securely to the front of the Standard Farrowing Ark or Farrowing Hut using a single anti-luce fastener, which allows for uneven ground: if you prefer, you can specify hooks to fit either under or over the threshold. 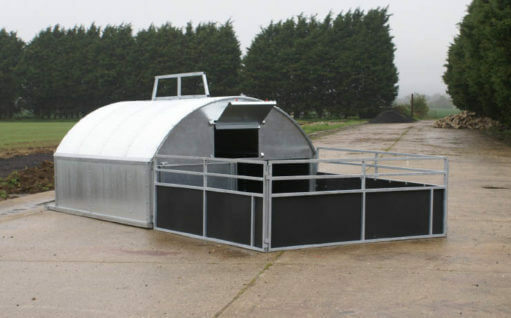 The standard size is 1.25m x 1.25m and 0.38m high: they can also be supplied in wider formats to fit our larger Farrowing Huts. 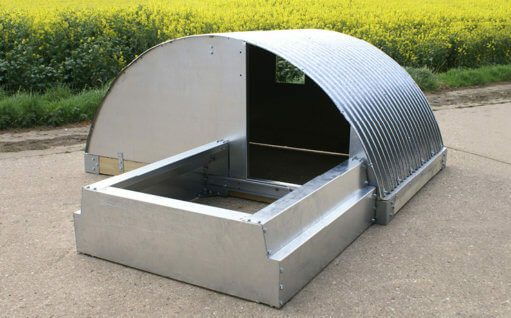 We also offer other fender options to suit your needs, in both standard and wide formats. 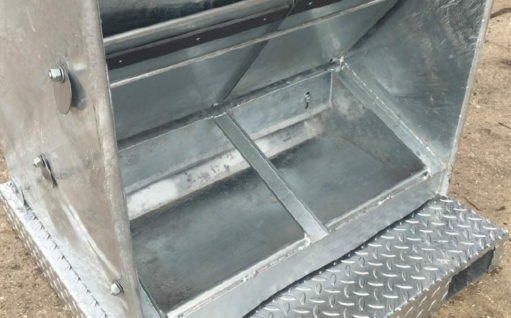 The Drop Front Fender allows you to fold down the front step, halving the height the sow has to clear. 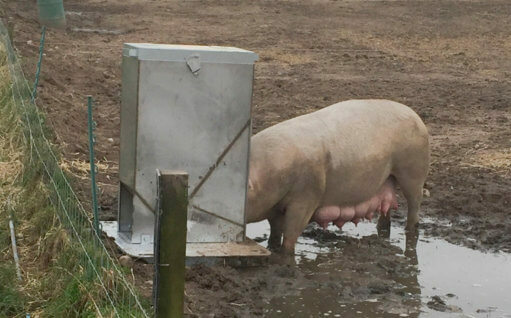 This is particularly useful for gilts while they become accustomed to jumping over the fender. 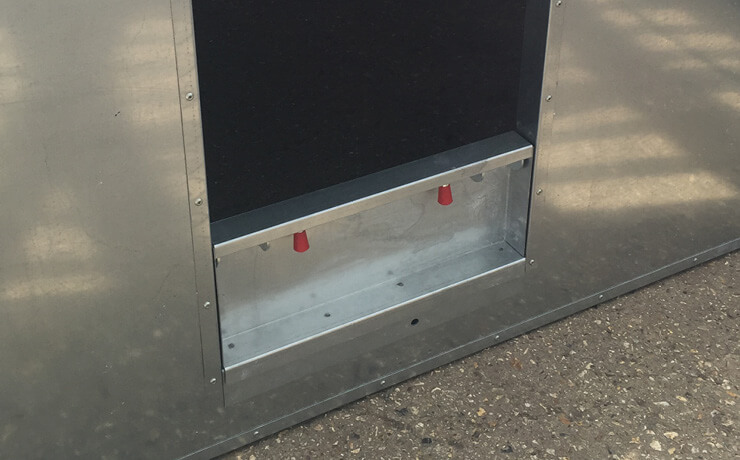 To reduce transport space, the Creep Fender can be supplied in bolt-together form for simple self-assembly using standard tools. 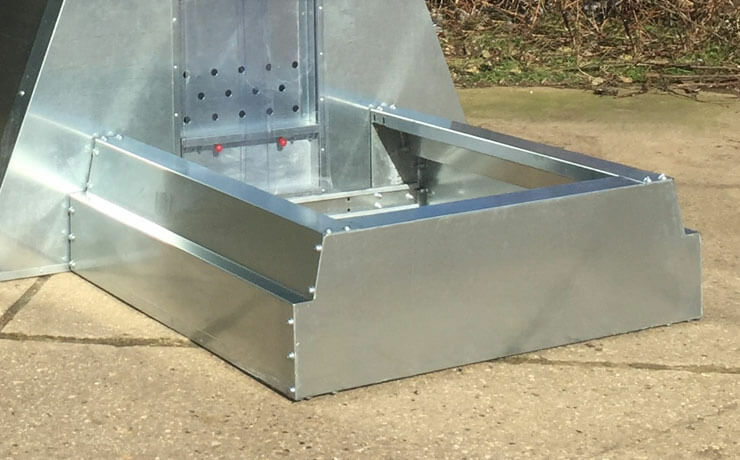 A simple, low-cost alternative to a fender, this galvanised lift-out step slots into place in the doorway of the Farrowing Ark or Hut to increase the threshold height by 0.2m. 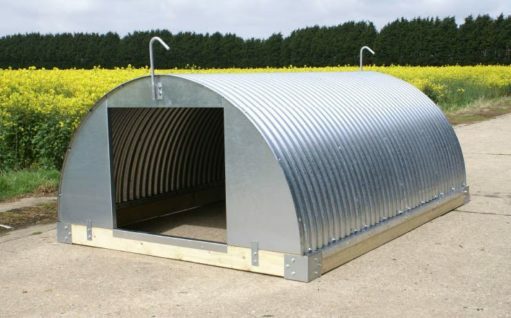 This allows the sow to come and go but is too high for very young pigs to climb over; it also helps to keep bedding inside the Ark or Hut, and prevent piglets falling out if the sow farrows close to the door.